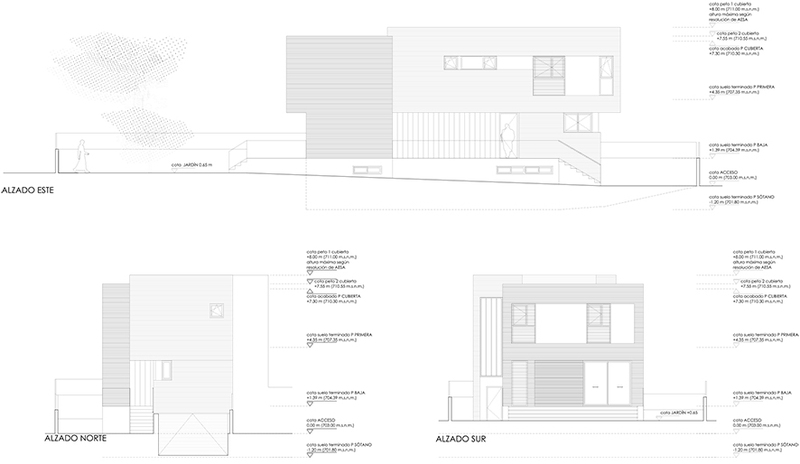 The single-family house is on the corner of a row of semi-detached houses with two storeys, garage in half-buried basement and the possibility of space below deck. 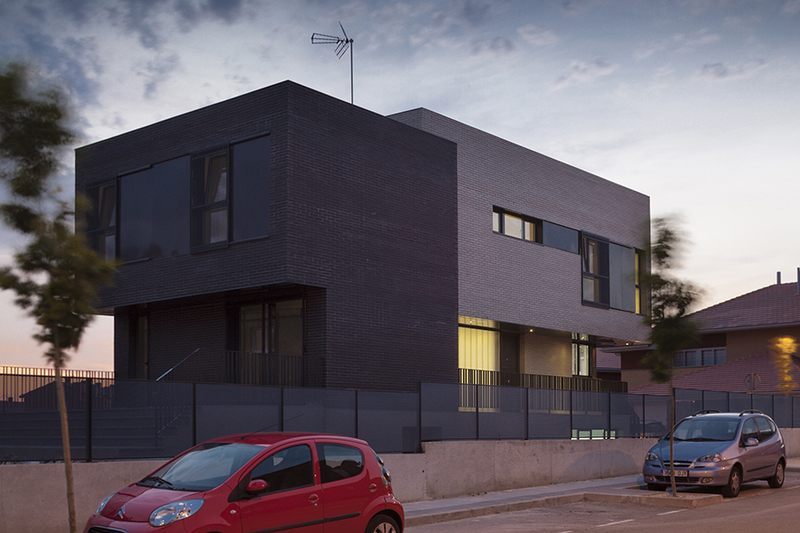 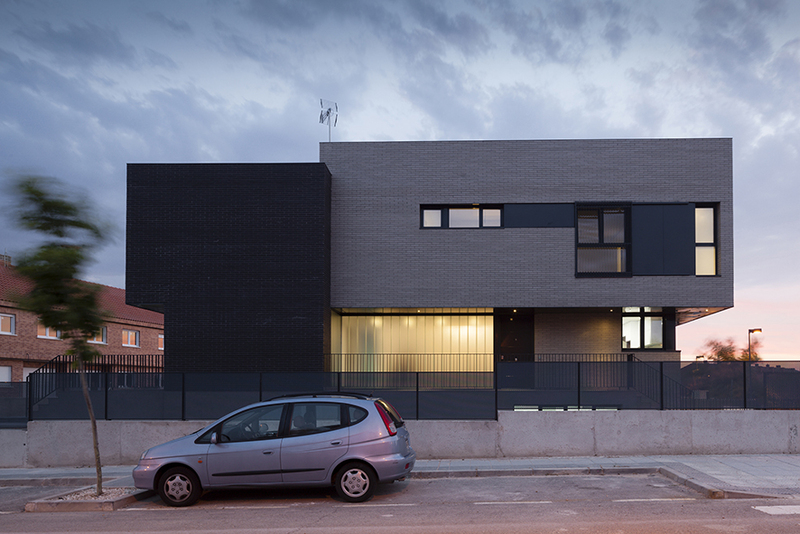 The project pursues the best position of the house´s orientation to solve the required uses. 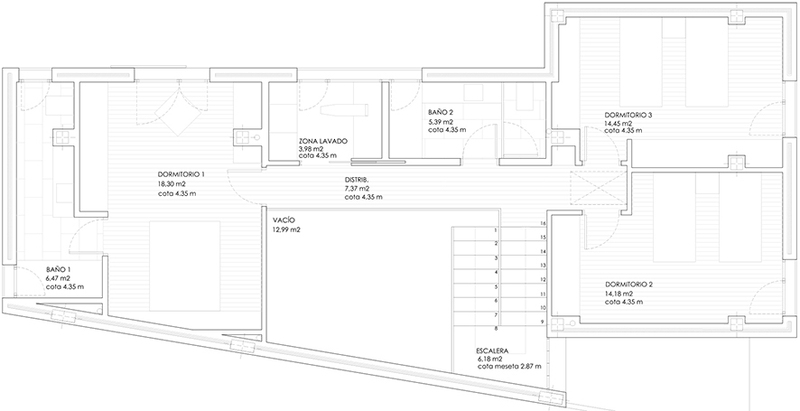 Thus, it is north-aligned where entrance is, with the living room and two bedrooms facing south to the garden. 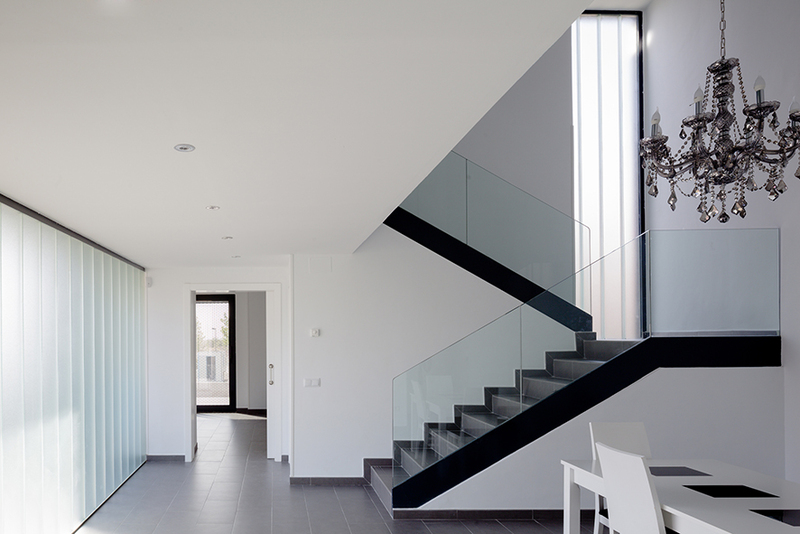 The building volume is divided into two, resulting in two slide pieces in order to get natural light to the stairs and allow the connection to the garden. 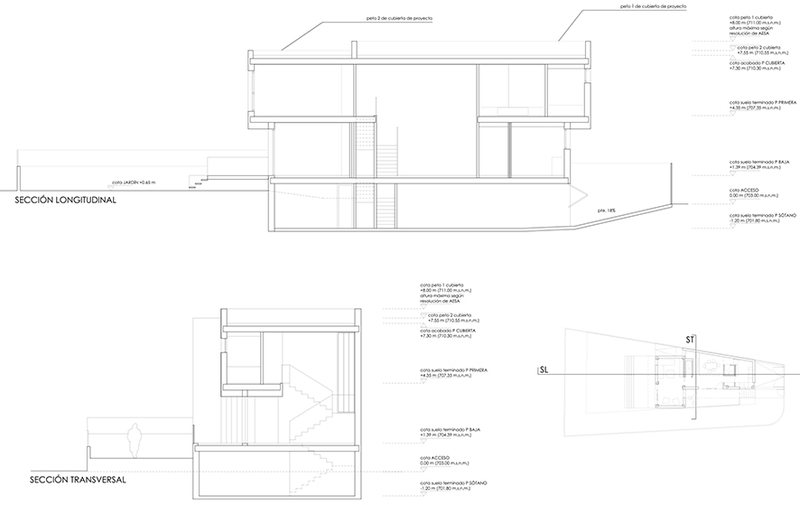 The first piece is aligned to the adjacent parcel, and the second with orthogonal geometry is moved towards the interior of the plot. 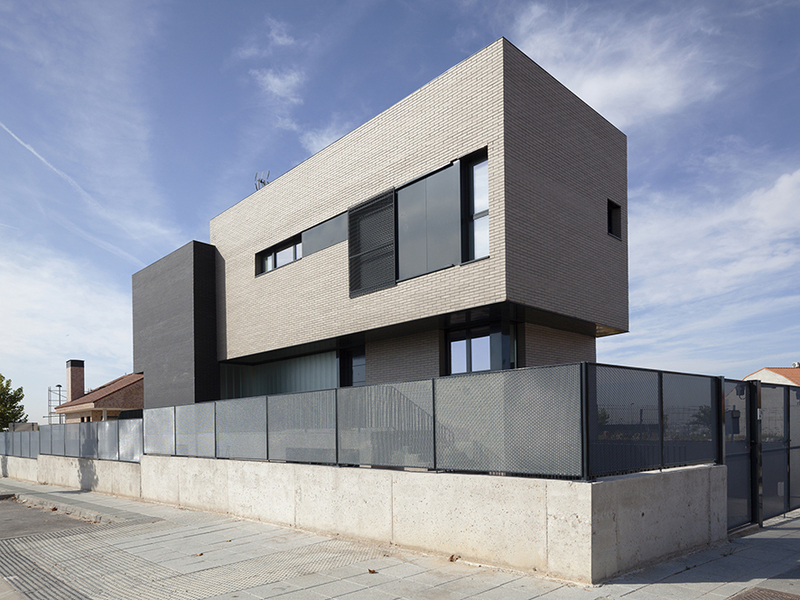 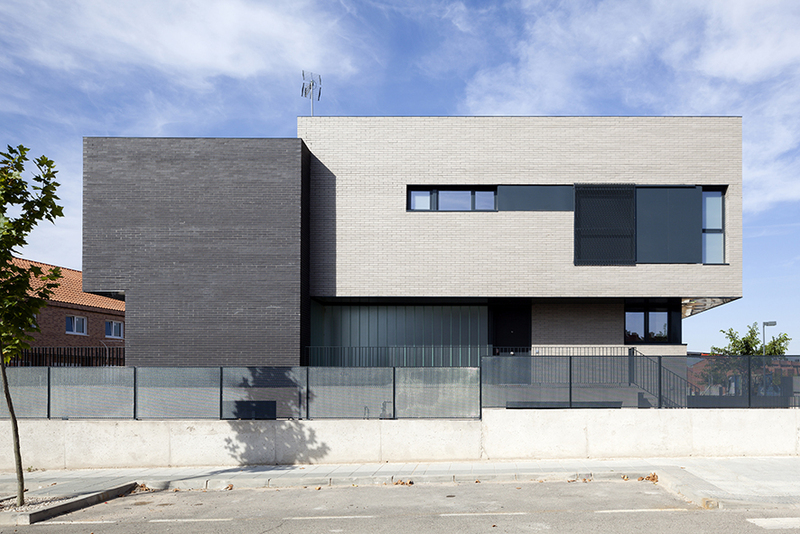 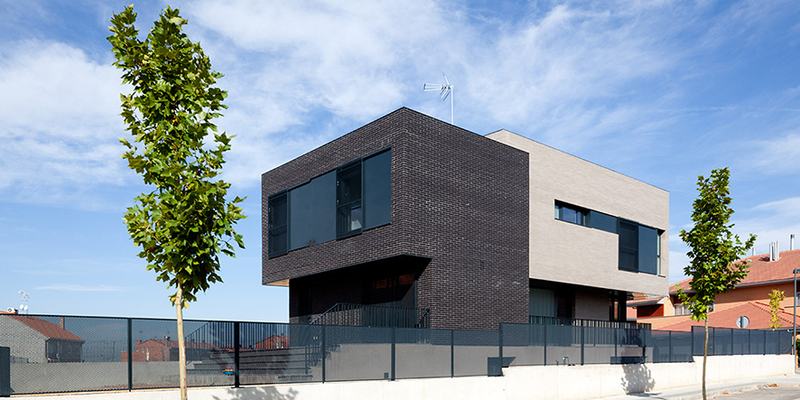 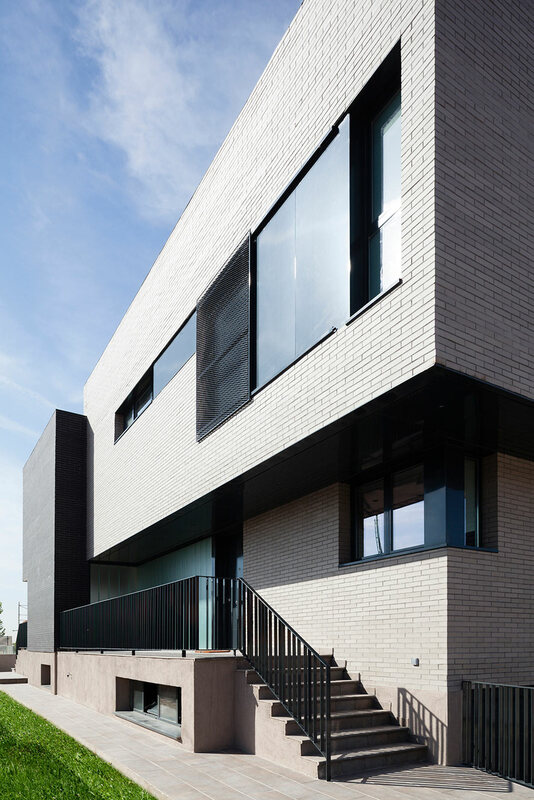 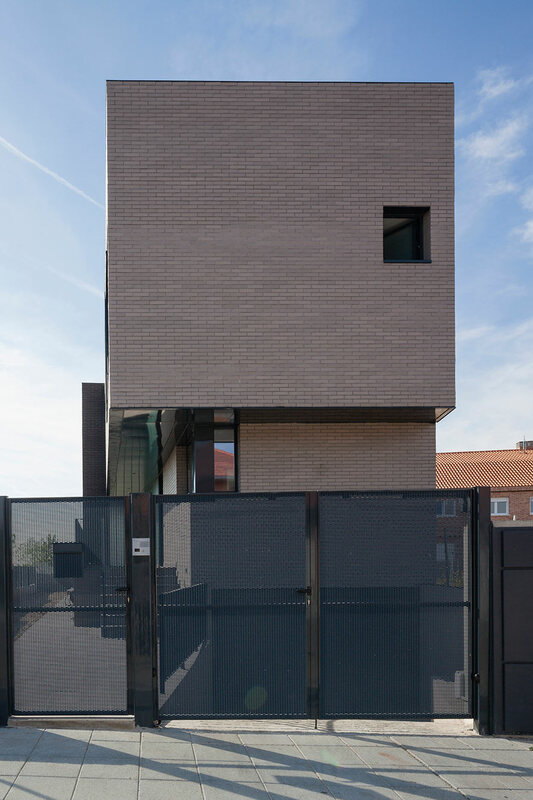 Differentiation of the two volumes is enhanced by the colour change of the brick facade. 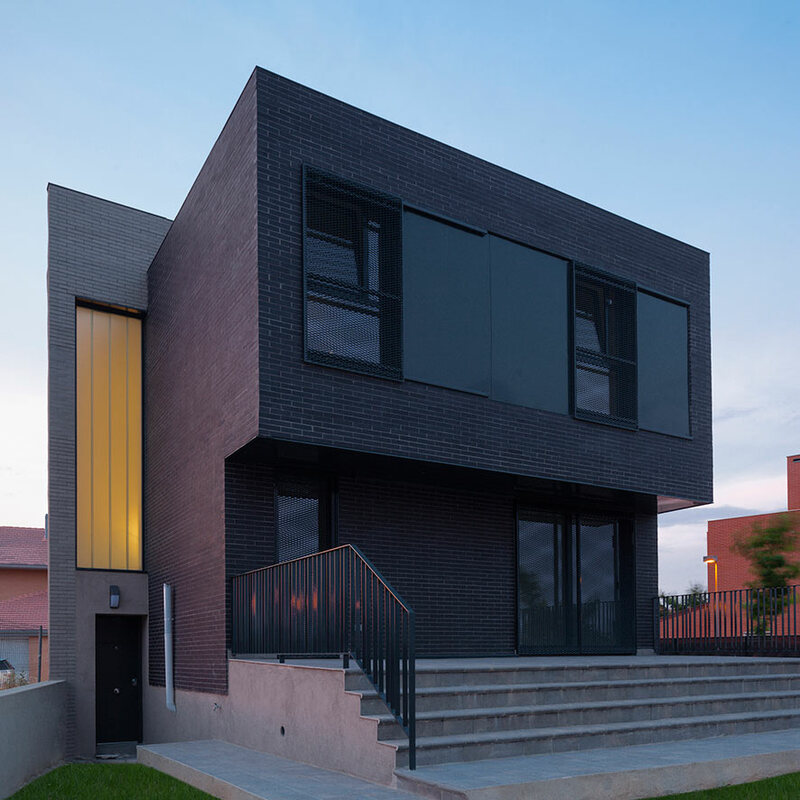 The covering is flat after revoking the space below deck in favour of larger spaces in the two floors above ground. 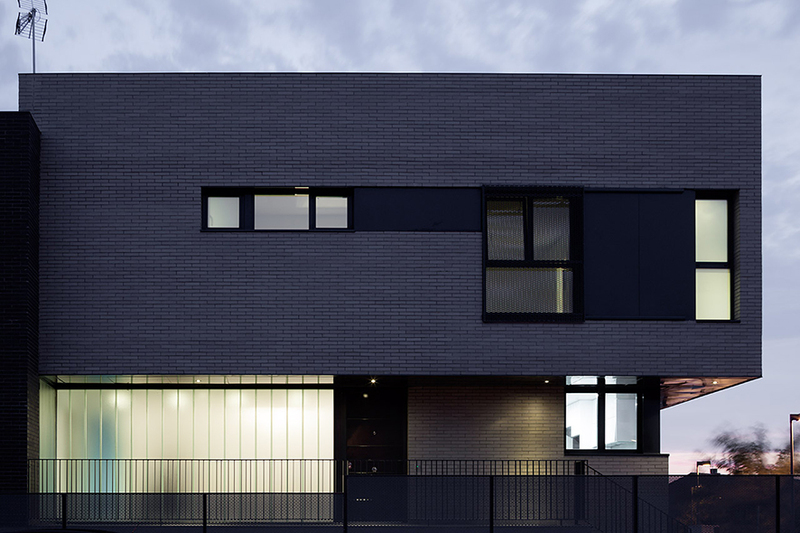 Generally big windows are opened to capture light from south and east, closing completely the house to west. 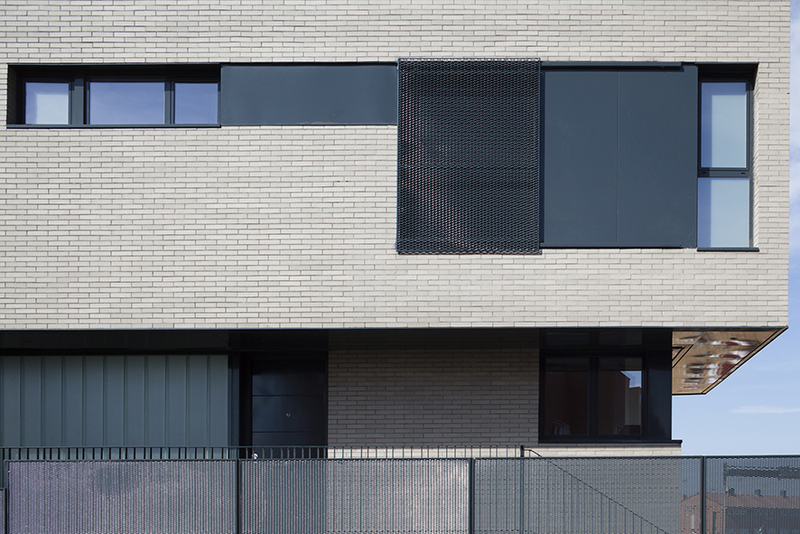 The main entrance is laterally, under a cantilever that marks the entrance located in the central part of the main facade. 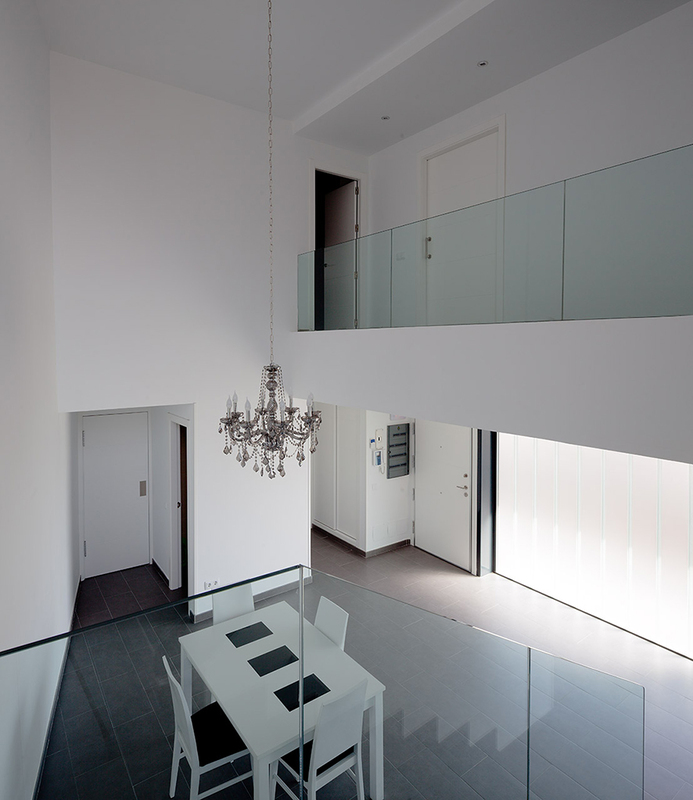 The interior is organized around a double-height space in central position, next to which the stairs connecting all levels are developed.